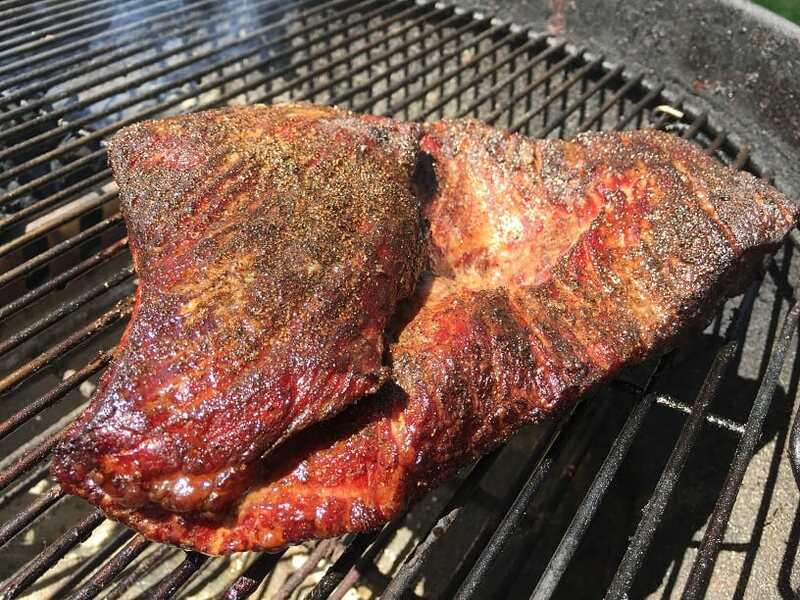 I saw a beautiful trimmed brisket point at the store and decided it needed to get a quick little smoke on my Weber kettle. 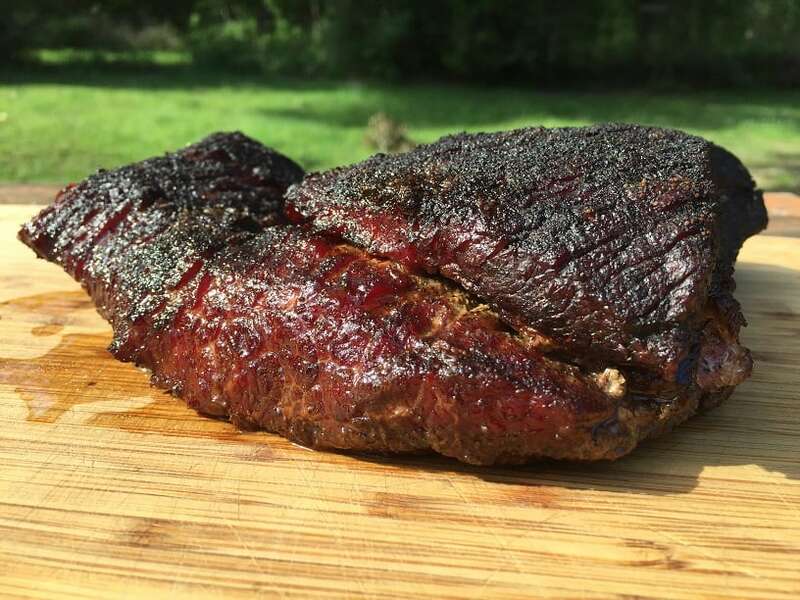 Brisket points are one of the best meats you can put on a smoker and I needed a quick brisket fix! 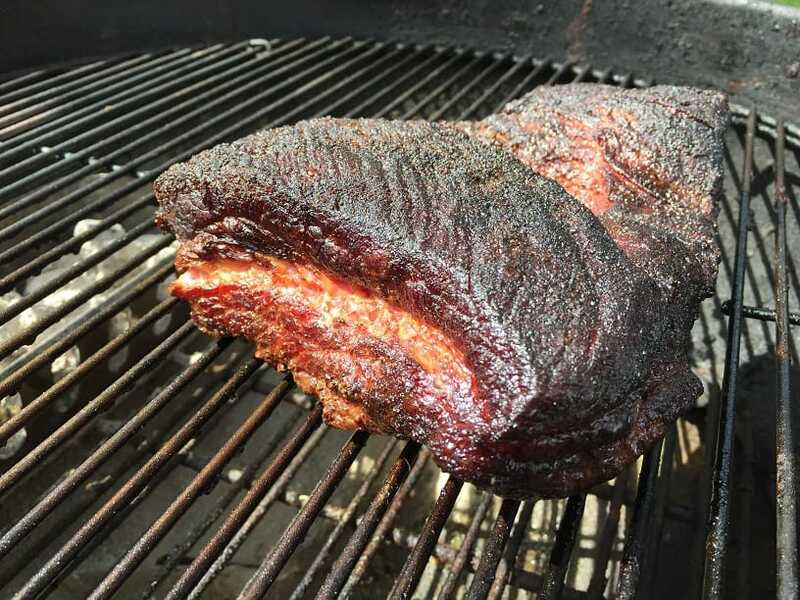 Smoking a brisket point is a quick and easy way to get your brisket fix without having to fight a whole packer all day. This point weighted in at around four pounds and took about six hours to cook. 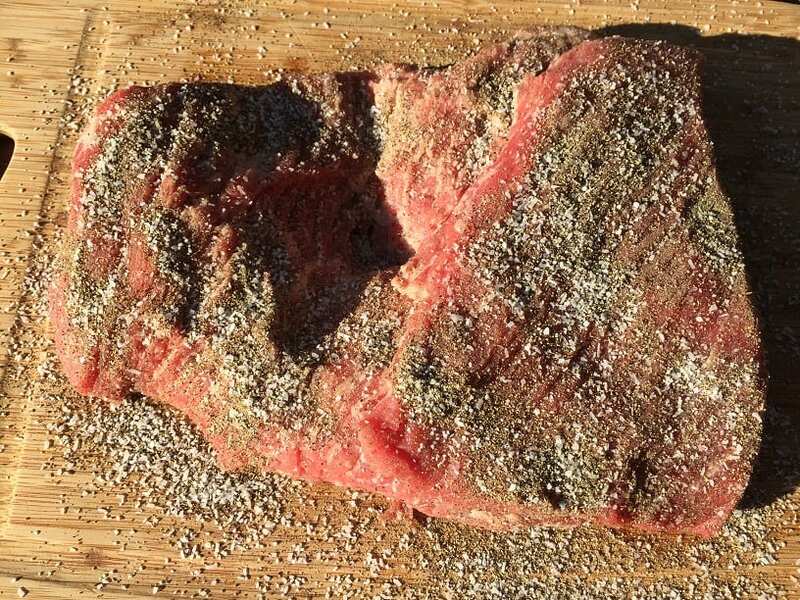 I went with a simple salt and pepper rub for this brisket. 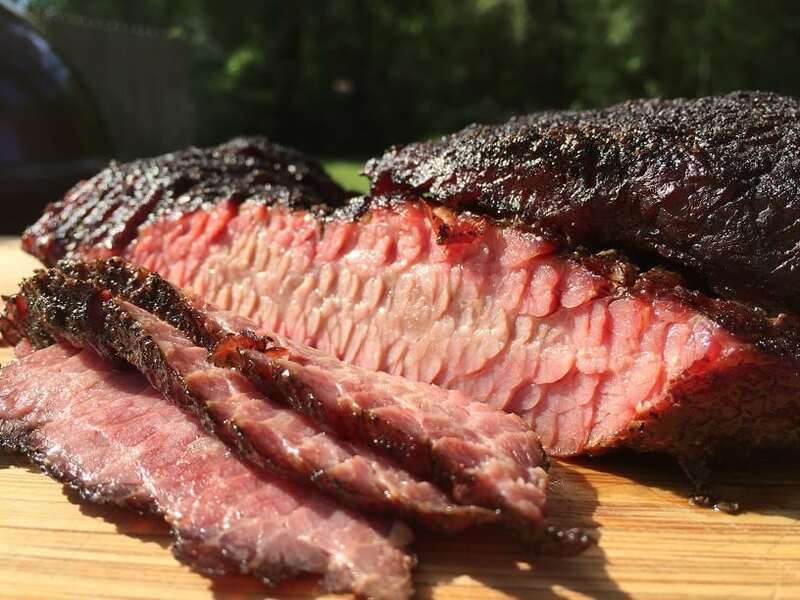 If you wanted to get fancy then you could try out some of these award winning brisket rubs. I set up the kettle for indirect low heat. I used a charcoal basket filled with Kingsford Blue on the left side of the grill and kept the brisket over on the right. The bottom vent was about 25% open and the top vent was wide open and over the brisket. When you use this technique you are going to have to refill the charcoal basket about every two hours. After four hours the brisket point was getting some nice color but still resisted when probed with a thermometer. After about six hours the brisket had given up the fight and was dang near melting. The internal temperature was about 203F but the real “done” test was the way the thermometer just slide right through the meat. This one sliced up real nice and made for some killer eats. I had been reluctant to smoke up just a point for a while. It seemed like it was cheating if I didn’t cook a whole packer. To heck with that…this was too easy and delicious to not do again! 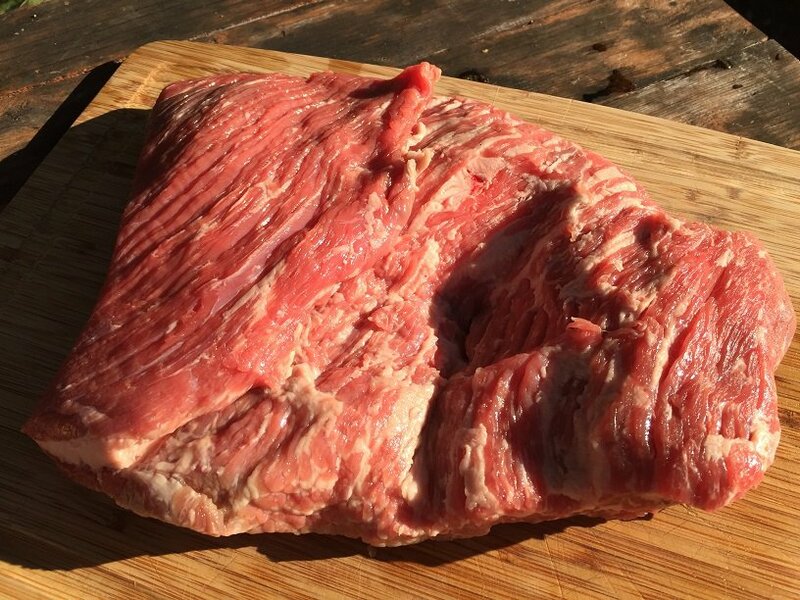 If you want SERIOUS brisket lessons then sign up for the Brisket Boot Camp in the form below (it’s FREE). Did you trim off any of the fat cap? Yes, I trim to about 1/4 inch.